We discuss laboratory simulation and how it can be highly effective for STEM education while opening up new avenues for distance learning disciplines. 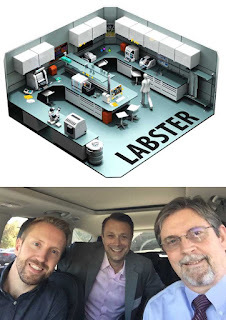 Labster's next generation of virtual lab simulations are helping to improve student motivation, engagement, as well as, theoretical and practical skills. Waldrop, M.M., 2015. Why we are teaching science wrong, and how to make it right. Nature, 523(7560), p.272. Bonde, M.T., Makransky, G., Wandall, J., Larsen, M.V., Morsing, M., Jarmer, H. and Sommer, M.O., 2014. Improving biotech education through gamified laboratory simulations. Nature biotechnology, 32(7), pp.694-697. Makransky, G., Bonde, M.T., Wulff, J.S., Wandall, J., Hood, M., Creed, P.A., Bache, I., Silahtaroglu, A. and Nørremølle, A., 2016. Simulation based virtual learning environment in medical genetics counseling: an example of bridging the gap between theory and practice in medical education. BMC medical education, 16(1), p.1. Makransky, G., Thisgaard, M.W. and Gadegaard, H., 2016. Virtual Simulations as Preparation for Lab Exercises: Assessing Learning of Key Laboratory Skills in Microbiology and Improvement of Essential Non-Cognitive Skills. PloS one, 11(6), p.e0155895.